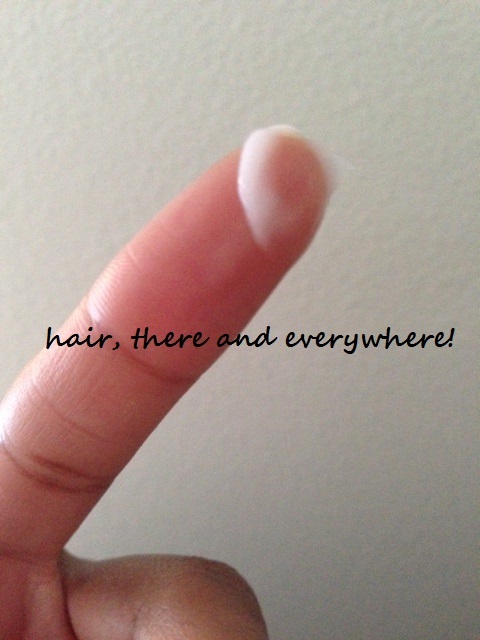 Product Reviews | hair, there and everywhere! Today I was able to head to Sephora because we had a training in downtown Portland. I went in there and discussed what I was looking for in a creamy leave-in to replace my Alterna Caviar Texture cream. The guy who helped me was so helpful! I told him I am interested in knowing more about the Living Proof line and that I have a few of their products, including a moisturizer from frizz line. I told him that moisture retention is my biggest concern and he suggested that I try the restore line. He suggested that I try the Targeted Repair Cream and gave me two vials to try. After reading the product description, I don’t know why I didn’t go to this product before the frizz cream, but I will definitely have a use for both of them if I like the sample he gave me! Here’s the product description: A moisture-rich cream for use on wet and dry hair that instantly adds shine, smooths cuticles and repairs split ends. The Targeted Repair Cream replaces lost ceramides to restructure, strengthen and seal the protective outer layer of the hair. Prevents 93% of new split ends. Plus all day UV damage protection. I will be using it as a leave-in for my roller set this weekend! Stay tuned for a review! UPDATE ON 8/24: It seems that my hair does not really like this stuff. I applied it to both wet and dry hair (as it can be used) and it just didn’t seem to do anything for my hair, so I will not be buying this stuff. How I knew my hair didn’t like it was when I applied it to my freshly blow-dried hair that was properly M&Sed and within a few minutes of putting this product on, my hair looked very dry and wiry. I promptly put my Amla Legends 1001 Oils Night Wrap Cream on and it helped. 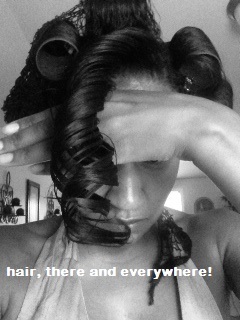 NAWL … I can’t have that expensive product messing up my hair! That’s sad, because the premise of the product was damn good!!!! Oh well … if it doesn’t work on my hair, it doesn’t work! NEXT!!!!!!!!!! Today’s product review is on the Ion Extreme Moisture Cream available at Sally’s. I received the 8 oz size as a free gift back in January 2013 for renewing my membership. I bought the 20 oz size yesterday for $8. I use it as an in-shower conditioning treatment where I wrap my hair up in a turban, wash and shave and then rinse it out and proceed to the deep conditioning. Currently. I alternate this stuff with Redken All-Soft, but when the All-Soft runs out, I do not plan to repurchase it. Promises: Ion Extreme Moisture Creme deeply hydrates dry, damaged or chemically-treated hair. Leaves hair soft, smooth, shiny and manageable. Helps protect from heat damage, improves elasticity and gives hair a more healthy appearance. Results: Man, I LOVE THIS STUFF! It comes out pretty thick and heavy, so rubbing it together with a bit of water will help spread it a little better. It always makes my hair feel so silky and conditioned after rinsing it out! If you can get over the almond scent (it kind of smells like Jergen’s cherry almond lotion, which I find pretty pleasant), then it is definitely worth a try! This product review is long overdue, but hey … better late than never! So as I wrote in May, Soft Sheen Carson sent me a box of their Amla Legend line to try. I immediately gave away the relaxer and the oil mositurizer, but kept everything else. My favorite product out of the line thus far is the 1001 Oils Cream Night Wrap. This stuff is amazing! I was a little leery of it since it contained dimethicone, but it really has not been a problem for me (NOTE: I have been using shampoos with sulfates weekly for a while now, so I make sure to remove any cones on Wash Day). 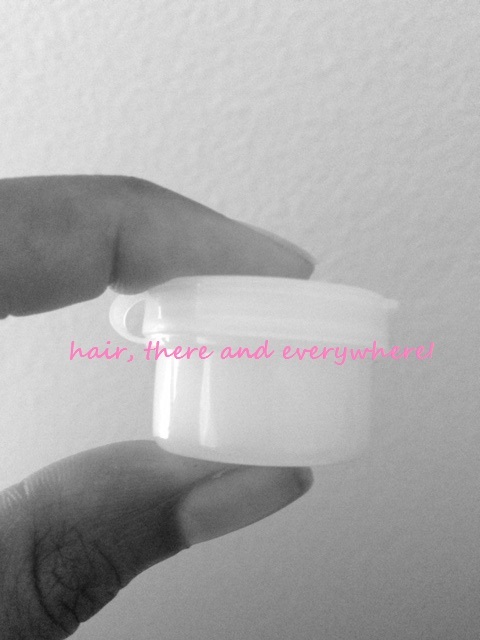 The product smells great, goes on smooth and really moisturizes my hair! I use it in the L-O-C method as the “C’ream or sometimes when I need a heavier moisturizer than my Alterna White Truffle Oil Elixir, I will just use this cream and some oil. Either way, my hair loves this product and it will definitely continue to be in my product rotation. As you can see, the first ingredient is water, which is essential for a product to be “moisturizing.” The second ingredient is coconut oil, which has been added back to my oil supply (never to leave again!). Isopropyl myristate is a “synthetic oil” used in cosmetics as a lubricant and emollient. I was a bit leery of this ingredient due to it being a synthetic oil, but as I have said, my hair has not been damaged in any way (as far as I can tell) by using the product with this ingredient. I definitely give this product an A, but I do want to point out that since it does have a synthetic oil and silicones in it, it may be important to use a gentle sulfate shampoo (I highly recommend the Amla Legends Body Filler Hair Wash) to prevent buildup on the hair shaft. 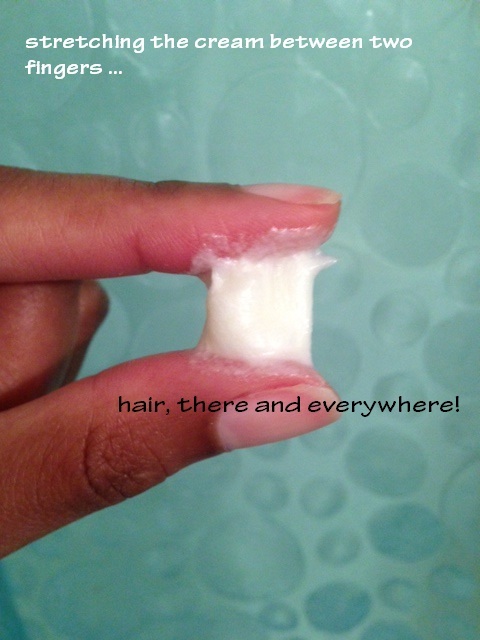 Also, this product is pretty heavy and can cause fine or thin hair to go limp, so a little goes a long way! This line of products are relatively inexpensive and can be found at pretty much any BSS, drug store, or place that carries ethnic hair products! The website also has a handy list of what oils contain ceramides in them. The only oil that I used that contained ceramides was grape seed oil. The hemp seed oil was too much. I was not paying $17 for it, so I went back to the section with body and essential oils and there was kukui nut oil. I knew kukui nut shells from my time in Hawaii. I know people would wear kukui nut shells (they are like they male version of leis). If I am not mistaken, Nathan wore one when he graduated from college and will probably wear another one when he graduates from law school (hurry up 2014!) I did a quick Google of kukui nut oil, found some beneficial information, so I decided to buy it. This oil also has other in it (some with ceramides), so it makes it a double bonus! Alba Botanica Kukui Nut Organic body oil is rich in essential fatty acids to soothe and soften skin. It is also formulated with alkyl benzoate, a natural water dispersant to help reduce fabric staining. Kukui Nut Organic body oil absorbs quickly to deeply moisturize. I was excited to try this product, due to its ingredients and my personal knowledge of how beautiful Polynesian hair is. I envied the women in Hawaii with their long, flowing hair!! The only worry I had about this product was the ingredient alkyl benzoate. I wondered if a water disperant would ruin the moisture in my hair! I Googled the ingredient to see if it was in any other hair products and it was … it is in CHI Silk Infusion. I also read: “12-15 alkyl benzoate is a dry, emollient, oil soluble ester like IPM that can offer some qualities similar to dimethicone in hair care products. Use at 1 to 15% in your hair care products” (From http://swiftcraftymonkey.blogspot.com/2009/08/silicone-replacements.html). 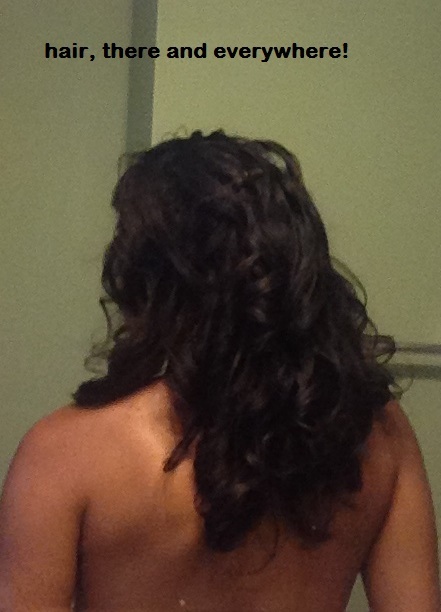 I will continue to monitor my hair and if there are any changes, I will stop using it immediately! I love this stuff! When I took my hair down Thursday morning (after its inaugural use Wednesday night), my hair was moisturized, shiny and felt soft. I also put some on my skin and even the texture feels a bit better! I have been using it especially around my eyes, as I hear it is a good way to delay wrinkles! I have been using it every day since Wednesday. 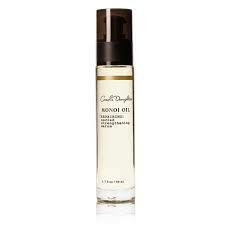 It is a heavier oil, so I only use a drop per section and that seems to suffice. I will also incorporate it into some of my prepoos and deep conditioners. I will keep you posted on how my hair continues to react to it!